We are asked for tips/tricks regarding modifying the stock UI on a pretty regular basis, by people interested in changing things as minor as their mouse pointer, all the way up to altering their entire point of view during ground combat. Finally, we have the answers that you’re after! Tune in for information on how to do it, some fabulous resources, and get the official word on how Cryptic feels about all of it. Then we’ll introduce our question for the next round of Community Feedback: We want to hear your responses to the fleet-based inquiry we pose in this episode. I’ve been getting a lot of questions about modding/hacking the client. With ANY modification, understand that you are violating the software’s TOS agreement. But if there’s no way to detect the changes (that is, they’re ENTIRELY client-side, and offer no gameplay advantage) then nobody will ever know. Changing files on the client can VERY EASILY result in an unplayable experience, so do so at your own risk. Cryptic cannot assist if you break your game – you’ll have to reinstall. Can be combined with several different tribbles (mat and riv are confirmed to work) to create a Cryo Tribble that could be useful in combat vs. Breen. 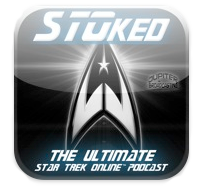 For more info on breeding tribbles, check out STOked s2e10. Another quick review of the weekly content so far. How could Cryptic Provide incentive to create and join Fleets?